The origin of Naturopathy can be traced right back to the Vedic period wherein the dietary principles (Pathya and Ahara) and the principles of health (Swastha Vurtha) described in Ayurveda have branched out and developed in the form of modern day Naturopathy. Ayurveda has the most comprehensive knowledge of nutritional treatment of diseases involving energetics, right food combinations, frequency, right preparation, seasonal effects etc which all affect healing at the physical, mental and spiritual level. Ayurveda focuses on absolute perfect health and not disease; it embraces all areas of life including health, career, relationships and universal spirituality. 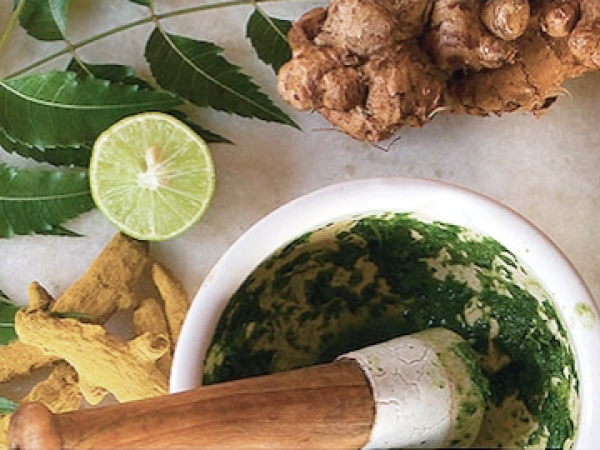 Experienced Ayurvedic practitioners can achieve wonderful (some would say miraculous) results through sophisticated detoxification processes, lifestyle advice, diet, exercise and herbal therapy. Our trainers are experienced Ayurvedic practitioners who originally trained in India and now work in the west. EQUALS International works with eminent Ayurvedic lecturers and also organises post graduate courses at renowned Ayurvedic institutions in India. EQUALS International offers nationally recognised and industry accredited Ayurvedic training at the Diploma of Ayurvedic Lifestyle Consultation and Advanced Diploma level. In addition EQUALS offers workshops and short courses in Ayurvedic Cooking, Ayurvedic Relaxation Massage Therapy, Indian Head Massage and Introduction to Ayurveda. Ayurvedic Lifestyle Management Consultant, Ayurvedic Massage Therapist, Ayurvedic Practitioner, Health Food Consultant, Ayurvedic Cook, Vedic Life Coach, Yoga & Meditation Practitioner, Health Resort, Beauty Consultant, Spa Therapist etc. The Institute works with a variety of internationally recognised and experienced Vaidyars and Doctors. For further information on these programs and other short courses, duration and pricing structure, please see the EQUALS qualifications menu. Massage therapy has become widely accepted by both the public and the medical community. EQUALS International in Adelaide offers nationally recognised and accredited massage courses which cover specialisations in pre and post natal care, aged care, infant massage, pre and post operative care, palliative care, rehabilitation and management of injuries. EQUALS Educators work at the leading edge of the healthcare industry and they will teach students effective clinical techniques. As more people turn to massage for its health benefits, a growing number of health care professionals from around the world are successfully combining massage with their health/medical acumen to promote healing within the conventional medical community. EQUALS possesses areas of expertise in nursing, aged care, business, research and integrative medicine. EQUALS International has utilised these aforementioned elements to design innovative training programs. Our goal is to help you balance caring for yourself with caring for others, physically, emotionally and financially. The Diploma covers the provision of remedial massage treatment to clients with specific needs such as injury management, rehabilitation, palliative care, aged care, women and children. Practitioners at this level may supervise other massage therapists. Please visit the EQUALS qualifications menu for a program overview. The program can be completed part time or combination mode and is available to both domestic and international students. For further information please contact the Admissions Advisor on 8110 1200.